Sometimes, being a Shopping Centre Manager must feel like life is one continuous speed dating event. People come and go so quickly – shoppers, tenants, delivery people, centre staff, and of course tradies. That’s why when you find a professional trade provider who exceeds all your expectations by delivering safe, reliable and affordable services, you really should hang onto them. At PRF Electrical, we know how valuable a long-term relationship can be for our shopping centre clients. We get to know their systems really well, we know what needs to be done to get upgrades and maintenance done quickly and efficiently with the minimum of disruption to store owners and customers, and we meet our commitments regarding times, costs and services provided. And because our electricians stay with us for the long haul, we’re not bringing someone new on site for every job. It took us a long while to get a foot in the door at Garden City, but we persevered. Then one day we got a small maintenance job, and we did exactly as we promised to do. Soon, another job came. Then another, and another, and so on. We now have what we would call an excellent long term relationship with both Garden City and their management company, AMP Capital. We don’t do all their electrical work, but when they do call us, they can rely on our professional electrical service. 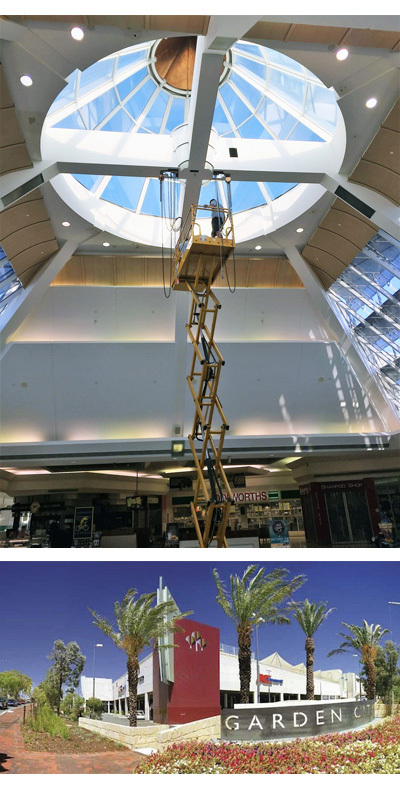 We’d love the opportunity to do the same with other regional, district and local shopping centres. So next time your regular electricians can’t make your deadline, or you’re tired of showing new staff from your current electricians where things are, call Phil at PRF. It could be the start of a long and beautiful friendship.